Production and distribution giant Fox Star Studios and ace film maker and producer A R Murugadoss’ fourth Tamil venture, 10 Enradhukulla will have a worldwide release on 21st October, 2015. 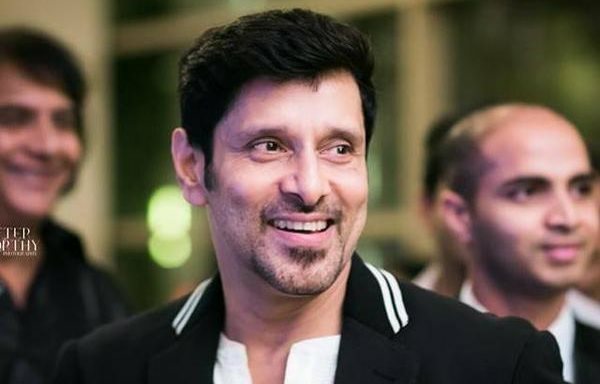 Directed by Vijay Milton, who had directed last year’s sleeper hit Goli Soda, the film toplines 2 of the biggest stars in Vikram and Samantha, making it one of the most awaited films of the year. There have been various speculations on the release date, since the project was announced, but the producers have now zeroed in on the Pooja holidays, as it’s an extended holiday weekend. The movie’s last schedule will be completed by the end of August. The film is a mass commercial entertainer with loads of action, romance and comedy and will explode on screens on 21st October. Fox Star Studios, is still basking on the glory of this year’s blockbuster Kaakka Muttai, and with A R Murugadoss has already provided 2 of the biggest blockbusters of the past few years- Raja Rani & Engaeyum Eppothum. While Chiyaan Vikram is coming off Shankar’s ‘I’ , the biggest blockbuster of this year; Samantha will be seen post last year’s blockbuster film Kaththi. This is the first time the 2 have been paired together, and the combination promises to be most exciting for both their fans. The count down for the release of 10 ENDRATHUKULLA begins now, as the team gear up for one of the biggest releases of this year, on 21st October.